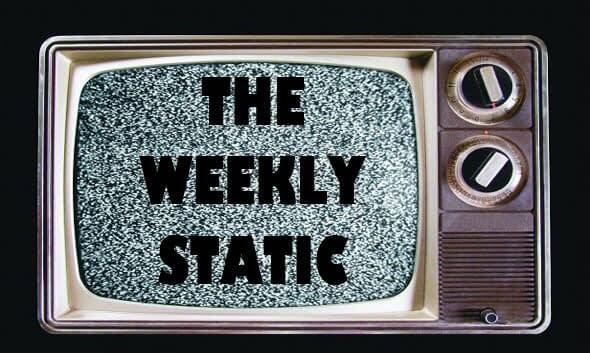 Home » BC Network » Recent Updates » The Weekly Static s01e22: Sabrina, Constantine, Vampires, and More! ● Offer a blunt, honest perspective on a handful of random TV news posts from the past week that also highlights your relentless team of news-thirsty Bleeding Cool writers and the quality work they do. My views are my views and not a reflection of the opinions of those who wrote the article. Translation? I own what I say 110%. 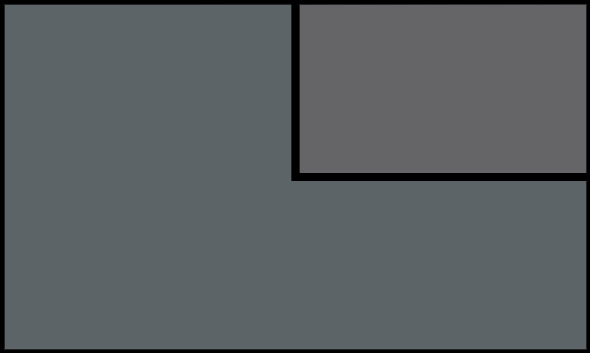 ● Spotlight a news item we missed, but we’re pretty damn sure you’ll find it interesting. ● Feed my voracious ego with copious amounts of praise, adulation, social media shares, pizza, Superman Funkos, Eisner Awards, write-in votes for the 2020 U.S. Presidential Election (not letting this one go) and opportunities to play “Victim #8” in a Freddy, Jason or Michael movie (admit it…it would be kinda’ cool). 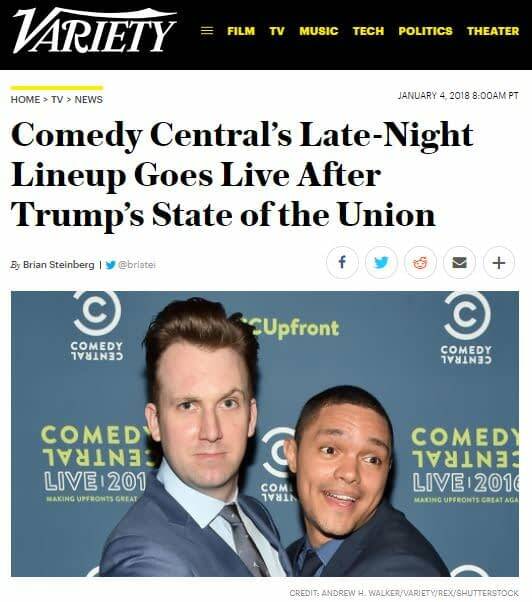 “President Donald Trump’s coming State of the Union address could provide late-night hosts with instant material, and Comedy Central’s wee-hours programs don’t intend to squander the opportunity.